Since its publication in 1925, The Great Gatsby has become one of the world's best-loved books, delighting readers across the world. Careless People tells the true story behind F. Scott Fitzgerald's masterpiece, exploring in newly rich detail the relation of Fitzgerald's classic to the chaotic world he in which he lived. Fitzgerald set his novel in 1922, and Careless People carefully reconstructs the crucial months during which Scott and Zelda Fitzgerald returned to New York in the autumn of 1922-the parties, the drunken weekends at Great Neck, Long Island, the drives back into the city to the jazz clubs and speakeasies, the casual intersection of high society and organized crime, and the growth of celebrity culture of which the Fitzgeralds themselves were the epitome. 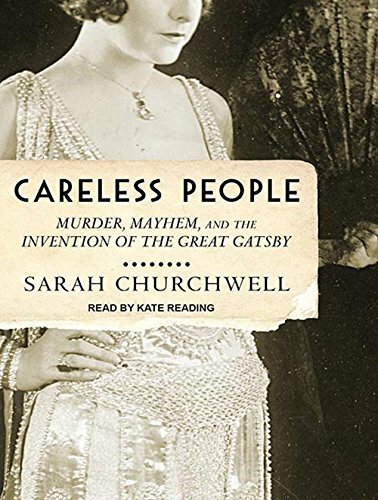 And for the first time it returns to the story of Gatsby the high-profile murder that provided a crucial inspiration for Fitzgerald's tale.With wit and insight, Sarah Churchwell traces the genesis of a masterpiece, discovering where fiction comes from and how it takes shape in the mind of a genius. Blending biography and history with lost and forgotten newspaper accounts, letters, and newly discovered archival material, Careless People is the biography of a book, telling the extraordinary tale of how F. Scott Fitzgerald created a classic and in the process discovered modern America.